It was during the Shalka invasion of Earth that the Doctor crossed paths with Alison Cheney, a barmaid with the stubbornness, strength, and spirit to help him overthrow the underground invaders and reclaim the planet. In short order she has become his closest friend and confidant. A former and somewhat thwarted academic, Alison was drifting through her life in Lancashire. When the TARDIS appeared, she seized the opportunity to escape, even if it meant leaving her boyfriend behind in the stardust. In skills and attributes, Alison is a well-balanced Jill-of-all-trades, possessing a passing knowledge of many things but mastering few. She has a particular expertise in ancient history, which has enchanted her since childhood. Toughened by her experiences behind the bar, she is headstrong and argumentative, often challenging the Doctor with banter or sarcasm. 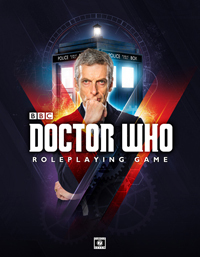 Alison is eager to escape a humdrum life on Earth and share in the Doctor’s extraordinary journey, but she is a fiercely independent woman who is determined to find her own way. This entry was posted on 20/10/2015 by hedgewick. 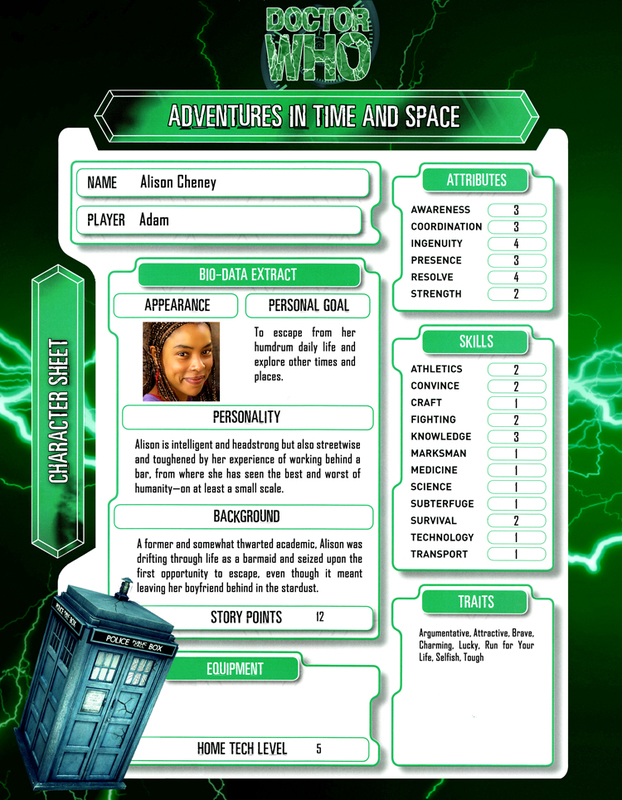 It was filed under The Nth Doctor and was tagged with Alison, Character Sheets.